This was a cold, cold winter. Since our ’78 diesel VW diesel rabbit doesn’t like to start up in such cold weather, Paul has been taking the car to work … a lot! I get the kids outside even if it’s for 30 minutes so they an get some fresh air but this winter it’s been too cold for even that! It’s been brutal for the kids, I feel like they are a slave to the house. Don’t worry, I’m not all complaints today. Paul had to go to Florida for work, when he asked if the kids and I wanted to tag along it was quite the no-brainer! I think I started packing bags when still on the phone with him. Paul has been down to St. Augustine a few times now so he knew a few great places for food that he knew that I would love. One of them was The Floridian. The food was great, the décor was great, the staff was great. They didn’t even mind Savina running around the place like she owned it! It was the perfect stop. I tried the blackened tofu sandwich and fried green tomatoes …a perfect southern meal. 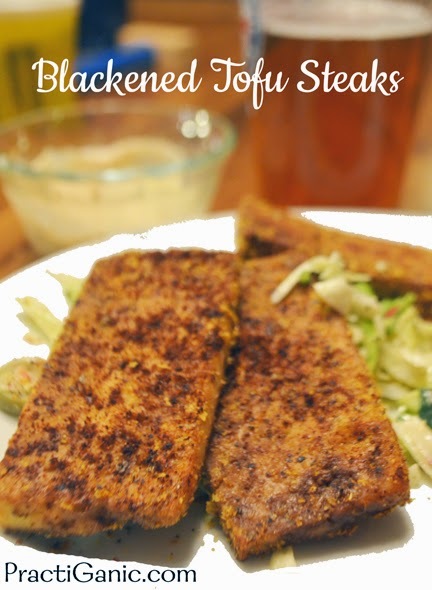 I was amazed when it dawned on me that I had never blackened any tofu at home. I was inspired. I replicated my own version once we got home. 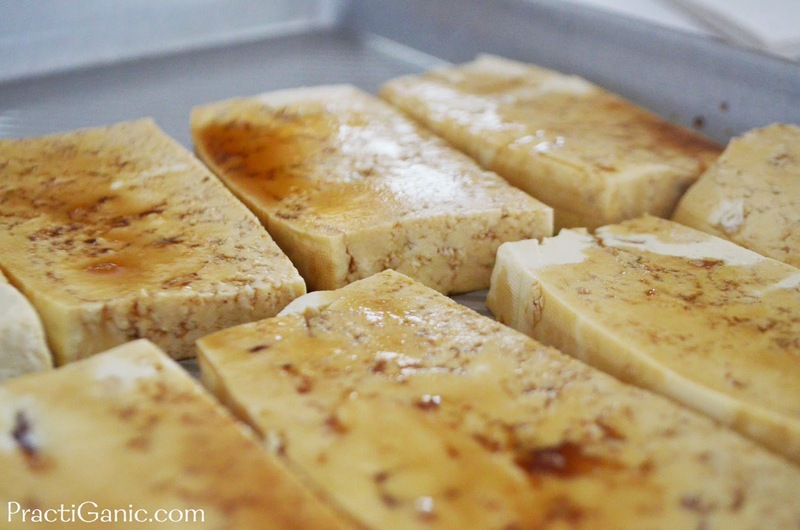 Press tofu to drain excess liquid. Cut tofu into ½ in by 2 in steaks. Marinade in Mrs. Braggs and sesame oil for at least 2 hours. 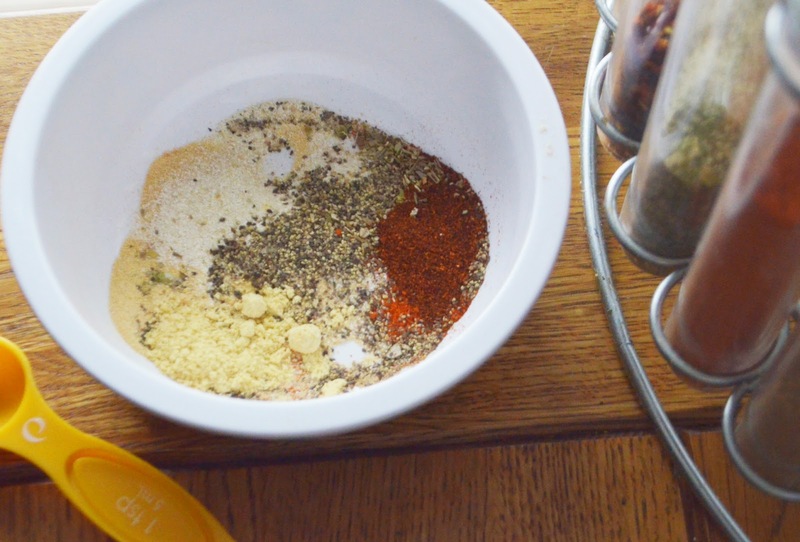 Mix all spices together. Dip tofu into spices to generously coat every side. Bake on an oiled cookie sheet for 45-50 minutes flipping them half way through. I served them on a bed of coleslaw with some Spicy Sour Cream Cheddar Biscuits, but I look forward to making them again and having them as a sandwich. I’ll let you know how that turns out!